Wilson-Covington has completed six duck blinds on private impoundments in Hyde County, NC. This included foot bridges over irrigation ditches. Wilson-Covington is proud of its involvement in the hunting and shooting sports construction markets and would love to help with your next project. 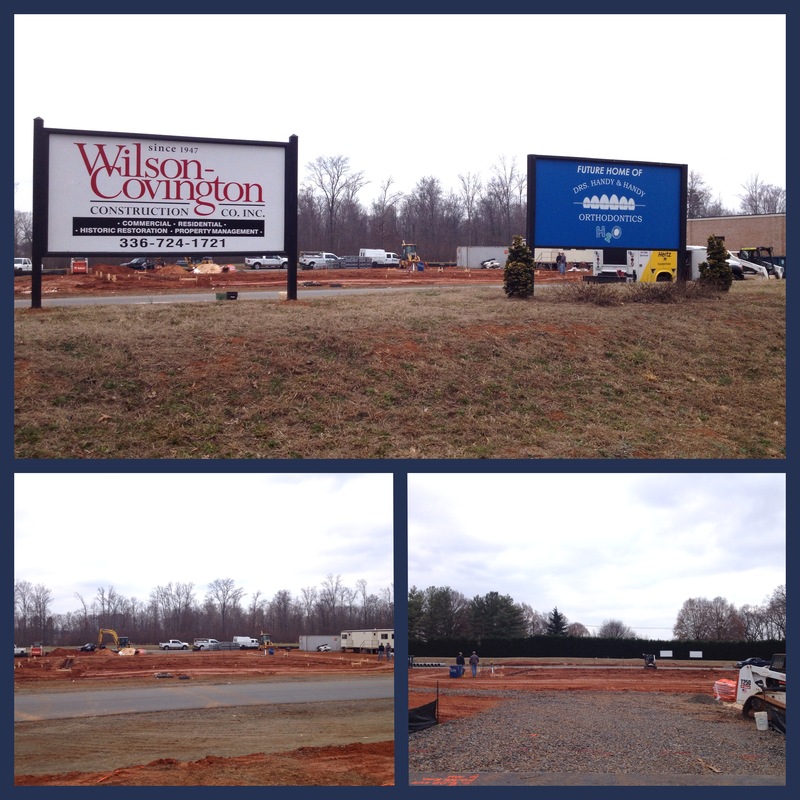 Wilson-Covington Construction Company is proud to have started work on a new Harris Teeter in Summerville, SC. This marks the firms third new store for Harris Teeter in the past year and the first project in South Carolina. This comes as part of the company’s expansion into South Carolina and Virginia. The new store will be 57,049 square feet and is projected to be complete in 2014. Wilson-Covington has been engaged to build a local “second-generation” project — a 7,500-square-foot office in Kinderton for Handy & Handy Orthodontic Specialists. Clay V. Ring, Wilson-Covington’s president, was the project manager for the 1972 construction of Handy & Handy’s main office on Hawthorne Road, working with Dr. Thomas Handy. Executive Vice-President Hayes Wauford, who is Ring’s grandson, is now managing the Bermuda Run project, working in conjunction with Handy’s son, Dr. Gordon Handy. The office is scheduled for completion 2nd quarter 2014.